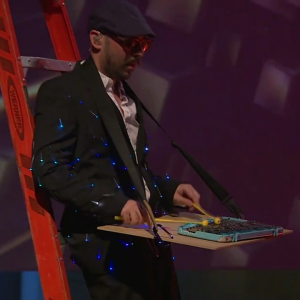 A set of Fiber optic LED suits for OK Go made for their performance at the Guggenheim museum in New York City. Aether is an exploration of the irrevocability of speech in online social networks. 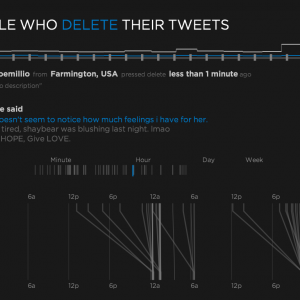 It retrieves Tweets that have been deleted and visualizes the content and context -- giving us insight into why people have second thoughts online. 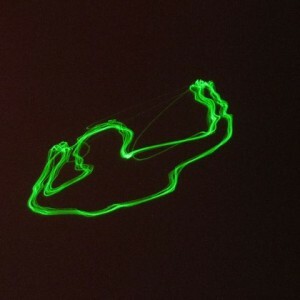 Real-time computer vision paired with a USB laser creates playful outlines on the wall. 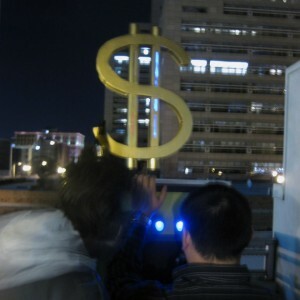 Participants can’t help but make shadow puppets and dance for the all-seeing eye as their laser avatar mimics their every motion. 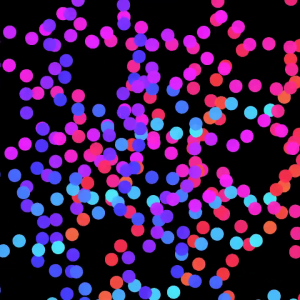 Razzle is a multireactive visual performance tool written in Java with Processing that serves as my testbed for visual programming techniques and methods. It features external OSC control, clock-based event quantization and more. "Scrooge" is a two-player safe-cracking game that tests users' precision and quickness as they race to be the first to crack the code. 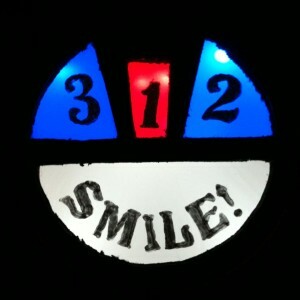 If successful, the door pops open to reveal the prize within--and a camera waiting to take their mugshot. The Smilebox is a retro-inspired photobooth designed to be ultra-portable. It was created for a school reunion on the other side of the country so it had to fit in carryon luggage. It was also an exercise in creative re-use of materials.